During this course Priscilla will share with you the creative techniques developed through her own experimentations and making. With more than 20 years experience in textile art Priscilla is the perfect person to show you all the skills necessary to make your very own 3D sculptures. 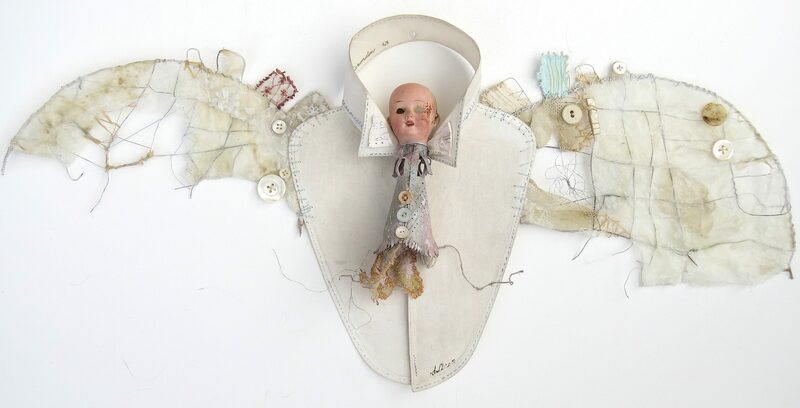 Inspired by whatever theme/s you wish you will explore wire, wax, and silk to create structures that can be embellish with paper, buttons, beads and found ephemera. Priscilla will support you through the processes and techniques encouraging you to develop personal work that relates to you. Materials will be provided all you need bring is enthusiasm and some found objects or materials from your own collecting. New date added for ‘Mixed Media Embroidered Hanging Workshop’ next month!! !